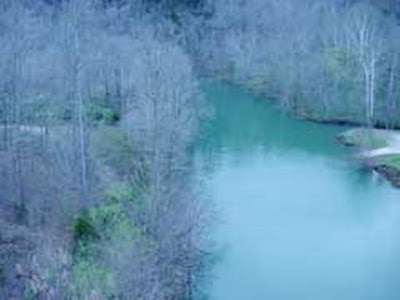 The possible site of Hale's Mill, downstream from Wolf River Bridge on Highway 111 in Pickett County, TN. "On the 4th day of July 1861, near a thousand men, women and children of Overton and Fentress Counties, Tennessee, met at Hale’s Mill and celebrated the day, as had been the custom in former years. They raised a hickory pole, on which was hoisted the old flag. Dr. Hale’s daughters and their teacher, sang the “Star Spangles Banner.” Mrs. Hale, read the Declaration of Independence, and the whole concourse of people partook of a bountiful repast prepared by our women, every one of whom opposed revolution in every shape." - J.D. Hale. The Civil War had begun twenty-two days earlier. Our ancestors thought this area was too remote to be included in any war, but it came nearly three months later to Travisville. The date was September 29,1861. 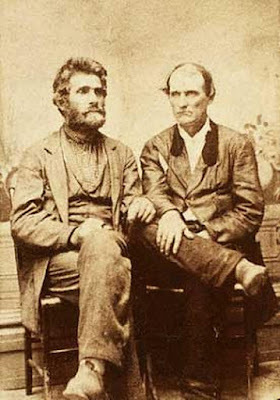 The Affair at Travisville, as it became known, was the first military action of any kind during the Civil War in Tennessee. Not only in shots fired, but also in the first fatalities. Four Confederate soldiers were killed and four others were captured. Almost four months later, on January 19, 1862, the Battle of Mill Springs was fought at nearby Nancy, Ky in Wayne and Pulaski counties. The war coming here was inevitable. By its end, 10,500 battles, engagements and other military actions had occured, including nearly 50 major battles and about 100 others that had major significance. The remainder were skirmishes, reconnaissances, naval engagements, sieges, bombardments, etc. The engagements were fought in 23 different states and resulted in a total of over 650,000 deaths. In October of 1845, Jonathan Hale and John Jouett began to erect grist and saw mills on Wolf River. This 100-acre property was in the area where the Farmhouse Restaurant is located on Highway 111, between Byrdstown and the Tennessee-Kentucky state line. Hale established a two-story mill and store and served as postmaster at Hale's Mill. It was said that he also operated a manufacturing facility there, producing wagons and furniture. Hale, known as J.D., had been born in Stoddard, Massachusetts in the year 1817. He stood five-feet-nine inches high with a heavy build. He was rather stooped, or round at the shoulder. His head was long and narrow. His hair was a sandy color and he was said to have a gray eye. He and his wife, Pheroba Chilton (1826-1905), had seven children. When the Civil War started in 1861, Hale and his family declared for the Union. As a matter of fact, he was among the first to denounce and expose session. The U. S. Army appointed him a captain and Chief of Scouts of the Army of the Cumberlands. In this capacity he served under General George Thomas. Hale reported on the activities of Confederate leaders Morgan, Forrest, and Wheeler. He also recruited men in Tennessee for the Union army. The massive July 4th celebration that had taken place at Hale's Mill, coupled with Hale's expressions of loyalty to the United States, infuriated Confederate sympathizers. Hale's family was forced to flee across the state line to Albany, Ky for safety. Three days after the July 4th celebration, all of Hale's property was destroyed by fire. $20,000 worth of buildings and materials were burned, including Hale’s home and two other houses, a large library in Hale’s house, worker's cabins, a barn, stable, store, still house, kitchen, grist and saw mill, 1000 bushels of corn, planning machine, mortising machine, running lathe, circular saws, tolls, lumber, wagons, and furniture. 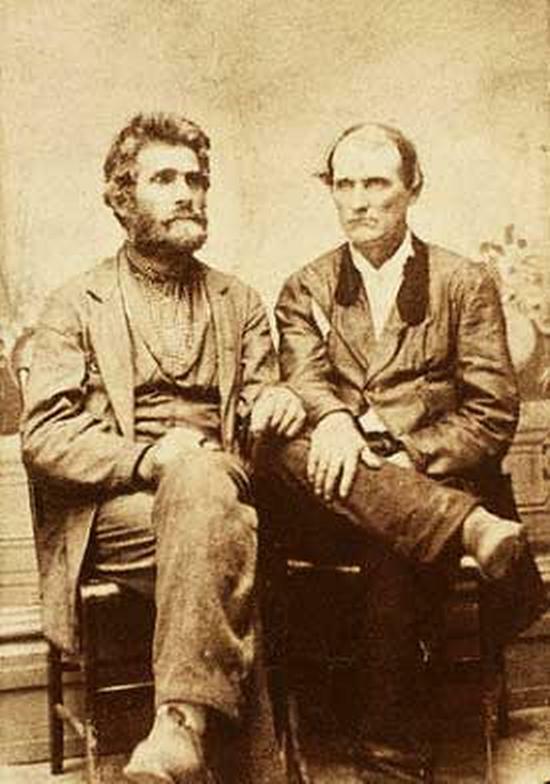 In 1864, a military commission awarded Hale $25,000 in a assessment levied against those accused of burning his property. The Civil War officially ended on May 9, 1865. The 4th of July celebration across America that year was unlike any other in the nation’s history. An uneasy mix of joy, relief, resentment and unhealed wounds was reported as Americans sought reasons for celebration after a war that nearly tore apart the country. For the first time in more than four years, Independence Day 1865 dawned without Americans on the battlefield trying to kill other Americans. Contemporary accounts and newspaper stories depicted a subdued, at times somber celebration in a country struggling to recover a sense of normalcy. In some places, the holiday was barely observed at all. And so it was that on July 4, 1865, a group once again gathered at the Hale's Mill site to celebrate Independence Day, as well as the outcome of the war. They hoisted the 'old flag' and attendants fired a 34-gun salute. Hale’s daughters again sang the Star Spangled Banner and this time it was Hale who read the Declaration of Independence. In his book, "The Bloody Shirt," Hale wrote, "In what does freedom consist? What is meant by the expression to be free, which really has no meaning at all in this connection, for the ex-slaves as a mass are not so free to be contented as they were at the commencement [of the war] in which we considered it honorable to destroy one another...what signified to the soldier wisdom, purity, patriotism, while an ounce of lead pierced him and he died in the midst of thousands of other dying men, whose last view was of their homes destroyed by fire and sword, amid the cries of their women and children perishing - all for pretended principles no one knew the merits of?" By 1871, the Hale family had left this area for New Hampshire. Jonathan died of old age in 1896. In 2011, Tennessee honored him by erecting a historical marker near the site of Hale's Mill on Highway 111 in Pickett County. It is located beside the Farmhouse Restaurant. Good reading ... thx Randy.